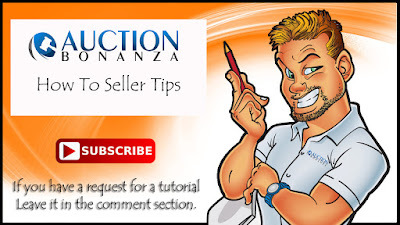 Auction Bonanza has supplied video tips for sellers and buyers on Auction Bonanza to help guide you through the site. Visit our YouTube channel by clicking the picture below and watch tutorials for any area(s) that you may be having trouble with. We will be uploading more weekly, so please subscribe to stay up-to-date on the ins and outs of the site. We also have answers to most any questions in our Help Center located here. Welcome all and we hope that you enjoy Auction Bonanza.